Pendleton Family Dental has created a world class comprehensive dental practice. Pendleton Family Dental’s commitment to comprehensive patient care involves a detailed and thoroughly documented process that incorporates the best possible care utilizing the latest and most advanced materials and equipment in the dental industry. Our dentists are constantly trained and re-trained in the latest techniques and dental care research to ensure that our organization and the practitioners that we employ are providing the finest dental care experience available. The old technique of putty impressions was very cumbersome and uncomfortable for patients compared to the iTero™ Scanner. Unfortunately, sometimes multiple impressions would have to be taken, and even then, they could be rejected. Now, we instantly send the 3-D scan to Dr. Paul. What used to take days, now takes minutes! And, most importantly, the accuracy is incomparable. 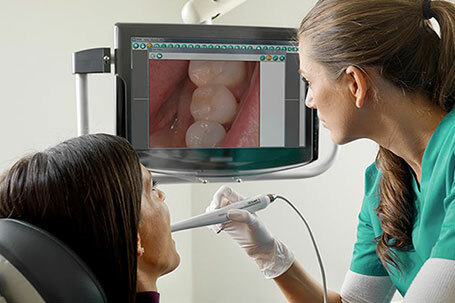 The iTero™ Scanner digitally captures the structure of the teeth and gums using the latest optical technology. It scans the teeth using a radiation-free laser, that takes >100,000 images of the teeth per minute! 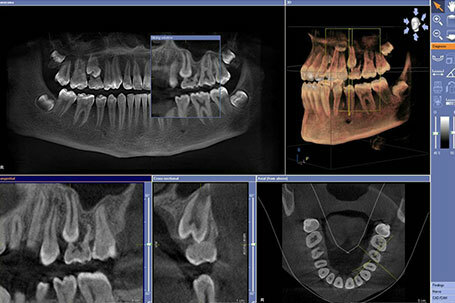 You can watch the progress of the scan as it pieces together a 3D digital model of your teeth on the computer screen. In order to achieve the most efficient and effective clinic administration, Pendleton Family Dental is outfitted with sophisticated dental practice management software and hardware technologies. Our offices are entirely digital. Electronic health records allow our organization to offer secure and seamless administration of all dental office activities. Patients at Pendleton Family Dental will benefit from the latest advancements in diagnostic technologies. Our digital x-ray system provides our dental professionals the most thorough, accurate, and immediate images of dental caries and gum disease. This advancement in digital radiography produces sharper diagnostic images compared to traditional film x-rays allowing earlier detection of issues and preventive maintenance. In addition, patients are safe-guarded with lower radiation exposure [up to 90 percent], and these systems use no hazardous chemicals thereby decreasing the impact on the environment. Our intraoral camera systems provide patients the opportunity to visually observe and understand the dental professional’s diagnosis. The tiny camera allows patients to be fully educated in their treatment needs by allowing patients to see what the dentist sees. Our office utilizes Hu-Friedy’s Instrument Management System (“IMS”) which combines sterilization, storage and organization of instruments in one integrated system. This system provides optimal infection control and prevention by the use of specific closable containers that allow for improved efficiency and safety. 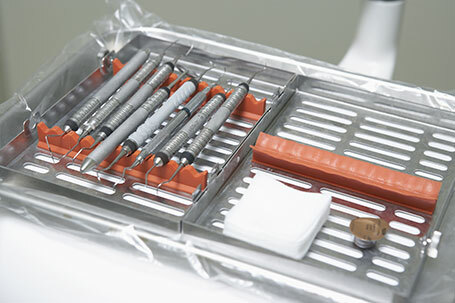 Instruments are moved from a cleaned sterile area to the dental chairside without touching or damaging the instruments. Hu-Friedy’s Instrument Management System is the most comprehensive, reliable and complete instrument processing and infection control system on the market today. 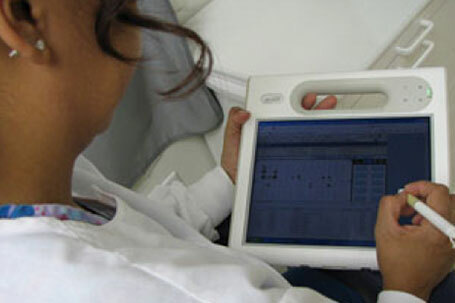 The use of the IMS product improves our staff and patient safety. Pendleton Family Dental is equipped with CAD/CAM digital crown and fabrication technology. 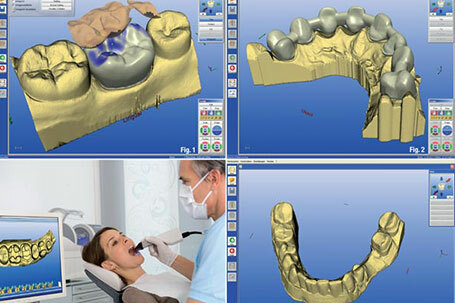 CAD/CAM digital crown technology is one of latest advancements in crown scanning and fabrication. In conjunction with the in-office lab milling machine, the system allows single Porcelain crown, inlay, onlay, and veneers to be created on-site, at our office. The IntraOral Digitizer is a high-speed laser scanner that takes multiple images of the tooth and warps them together to create a highly accurate 3D model. After the digital scan, the design software creates a 3D model of the tooth from the various images. Dental technician then uses the software to create the restoration that will match the shape of the neighboring teeth and is electronically sent to the in-office milling device for fabrication. Patients at Pendleton Family Dental will benefit from the latest advancements in diagnostic technologies.